I am writing in regards to a property in the City of Charlottetown which is currently owned by Canada Lands Company. This property is known as the Upton Farm. The land is currently vacant and Canada Lands have applied for development permits from the City for redevelopment of the site. The previous City Council had approved a developments scheme and legally the City is obligated to issue building permits should Canada Lands ask for same. The purpose of this letter is to advise you that the new City Council which took office in January of 2007 have indicated their desire to see this property remain an open green public space. The Council is strongly supported by a large group of residents here in Charlottetown who have formed an organization to ensure this area is maintained as a green space within our City. 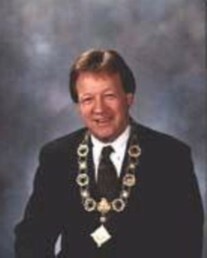 I also want to advise you that the position taken by this Council is supported by several members of the Legislature for the Province of Prince Edward Island as well as Mr. Tom DeBlois, the recently nominated candidate for the Conservative Party of Canada here in the Federal District of Charlottetown. In closing, I would ask for your assistance in ensuring that the resolution passed by City Council on April 10th is respected and we certainly look forward to discussing this matter in much further detail with yourselves or representatives of the Canada Lands Company. Thanking you in advance for your anticipated cooperation on this important matter. This entry was posted on April 18, 2007 at 11:42 am and is filed under Canada Lands Company, Support from Local Politicians. You can follow any responses to this entry through the RSS 2.0 feed. You can leave a response, or trackback from your own site.